I am celebrating my 33rd birthday this June. Since I am preggers, this time I am having a birthday party and shower party rolled into one. And, instead of personal wish list.. and I'm gonna have a baby wishlist. So far, hubby and I already purchased an infant crib and some baby toiletries. I also bought some onesies during our vacation in Turkey and brother-in-law also gifted some baby clothes. Most of all, we kept our Chicco Baby Carrier, Approva High Chair, and Good Baby Stroller in a very good condition, so with that, I supposed we'll be needing just a few more things for our second baby girl. Hmmm.. what else? I am sure there are some things that I forgot to include. Guess I'll just add them as soon I remember later. One of the pit stops of our Turkish road trip was Izmir. We went around the city, checked some popular tourist destinations, then gone shopping and dining. Again, it was an amazing experience for me because I have never been to Izmir before, which is one of the largest cities in Turkey. After checking in at Susuzlu Hotel, we searched the road to the bay area, passing by these street performers with two members playing guitars but no hand drums. Just a little ahead, we saw a stage with an ongoing live band performance. We were supposed to watch more but our stomach were hungry for dinner. After a night in Izmir, we drove to Kuşadası for like a couple of hours. On 19 Mayıs (May 19) or Youth Day in Turkey, there was an outdoor concert by the bay. The highlight of the night, the performance of a famous Turkish singer named Şevval Sam (in the photo), made the place heavily packed with fans and onlookers. I had a chance to try green plums while visiting Turkey this year. 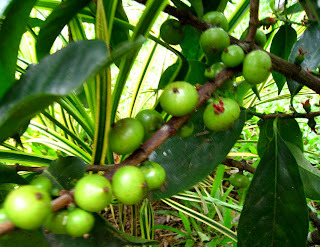 It is one of the fruits in season. Green plums are everywhere in Turkey. 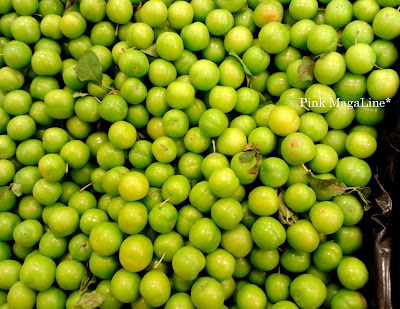 In fact, Turkey is the 7th producer of green plum in the world. They sell them in the streets, groceries, and big markets. At Migros (supermarket's name) one day, hubby grabbed a piece, cleaned it with his shirt and handed to me for a bite. It is green so I was expecting it to be very sour, but it wasn't really. Unlike purple plums, green plums have thinner flesh and harder to bite. They are a little juicy and best to be eaten with salt. 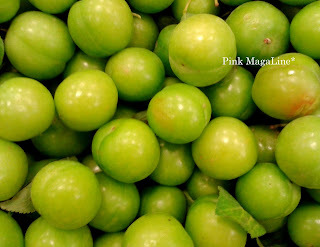 Green plums is comparable to batwan, a native sour fruit used in sinigang. 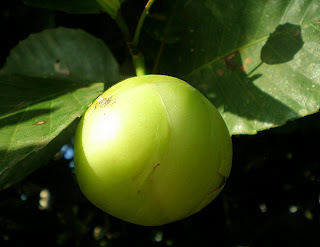 It also reminds me of katmon, another wild sour fruit also used in sinigang and best eaten with salt. 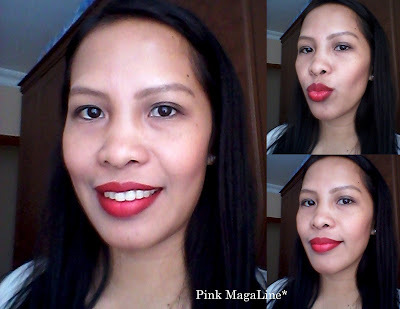 Finally, I am posting this much awaited review of MAC Matte Ruby Woo. Much awaited because I've been meaning to purchase this specific MAC lippie for the longest time, however I procrastinated, then waited, and waited, until a friend of mine purchased it in the States for me. Yeah, I am that stingy. I won't buy an overpriced MAC from the mall or an online seller. Plus, there is also the risk of buying a fake one. You'll never know it's fake until you paid for it and it reaches your door. Anyhoo.. here's comes the review! -Looks very good in photos. -The color is perfect. Not too bold. -It is matte so it's drying the lips. -Using a lip balm or any lip moisturizer is a must before applying this lipstick. -It is hard to find a reasonably-priced authentic MAC here in the metro. Will I buy this lipstick again? Honestly? I am not really sure as of now. This is an old post in my draft. Yeah, I spotted Steven Tyler of the very famous Aerosmith at NAIA Terminal 1 last May 9, 2013. Hubby, my daughter and I checked in for our Istanbul flight and were in the queue for immigration when I saw Steven Tyler coming to our direction. I was like.. "Oh my gosh! Oh my gosh!" He was escorted by those 'big guys' and some police officers. He walked right in front of me and I swear I almost passed out. I mean, hey, that's the music icon I normally just see on MTV or American Idol! He popularized songs like I Don't Wanna Miss A Thing, Crazy, Jaded, etc. He arrived in Manila for his concert together with Joe Perry at the SM Mall of Asia Arena on May 8, 2013. Too bad I wasn't ready with my camera when I spotted him and that explains the blurry and dark photos. Arrgh, I wish I took a video instead. Lucky are those reporters and cameramen who interviewed him during arrival/departure. They had the best images and recording using using a DSLR, tascam dr-05, and the like. You know, this is not my first time to see a celebrity at the airport. I spotted Bobby Andrews in my first flight to Hong Kong when I was in my early 20s. I saw Ginger Conejeros at Terminal 3 in our trip to Cebu, then Pilita Corales in our postponed trip to Vigan. Actually, before seeing Steven Tyler, I saw a couple of international beauties too. So next time I go to an international airport, I'll make sure my cameras are set and ready! 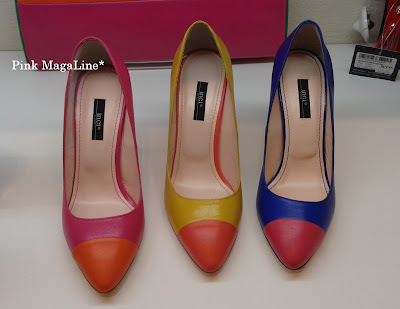 Remember my old favorite Zara flats? They retired after too much use. My poor ballet flats. The canvass material was the reason why they didn't make it far enough. Lucky me that I was able to score these new pair through the help of my in-laws. It was on sale in Zara Turkey and a few months back. They purchased it for me and it waited until I arrived Istanbul. Zara (genuine) leather flats in teal with quilted insole. They're the comfiest ever.. something that I really need now that I'm pregnant. There was a little bit of mis-communication between hubby and in-laws about this shoes. Zara is more expensive here in Manila and my size (37) sells faster. With that, I told him to request them to buy two pairs, either one in beige and one in red or at least one in red and the other pair in any color, but they got this teal one. Anyway, teal used to be my favorite color in college and this pair is leather so I will take care of it very well. I guess it will last longer than my first Zara shoes. Till my next sale find peeps. Muah! I thought I need to post an update on my pregnancy. I am now on my last trimester. My baby is 27 weeks and 6 days old. Only 85 more days to go then I'm ready to pop up. My OB-GYN told me that I have to gain a kilo every month. So far, I gained a total of 7.7 kilos already and my current weight is 57.7. Took this photo while in Balıkesir, Turkey..
My tummy is bigger and rounder. The baby is very active and kicks very often. She wakes up when mama is hungry and does a lot of activity after eating something cold or sweet. According to Babycenter.com, my baby weighs about a pound and a half by now and her wrinkled skin is starting to smooth out as she puts on baby fat. I don't have a final decision as to what name to call her yet, but hubby thinks Sunam (taken from her maternal grandma Suna) is a nice name. Meanwhile, my daughter thinks her sister's name should be Sparkles. 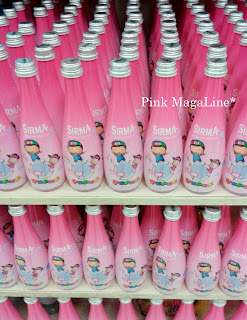 Hmmm.. Sunam Sparkles? How does that sound? I don't know. Hahaha. Next month will be my 33rd birthday. I am planning to have a small celebration at home and will have a wish list of baby stuff instead of the usual. I need a lot of things for my new baby. Gosh, I should start taking notes right now! And.. I am officially back! I survived a total of 14 hours flight from Istanbul to Manila and here I am, blogging again. Not yet done transferring and editing photos, though. I guess it will take a day or two to finish so in the meantime, I am posting some arm candies to feast upon. Selena Gomez completed her look with this bag at Heathrow Airport. Reese Witherspoon was seen with this tote while shopping in LA. 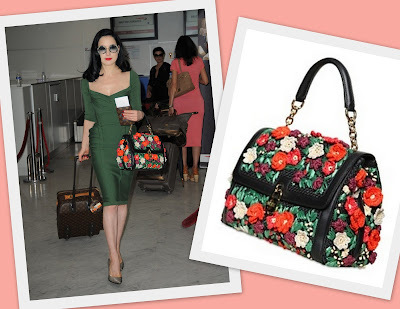 The Dita Von Teese carried this arm candy at Nice Airport. This bag is perfect on Kris Jenner's black and white outfit. Any bag you are drooling over these days? Share here. It's been days since my last post. Sorry for the lack of updates but I am a little busy these days. Our vacation here in Turkey is coming to its end. I need to do some shopping, visit hubby's relatives and so on. Visited the Blue Mosque (Sultanahmet) for the second time the other day. I took lots of photos and here's one of them. I am excited to share a lot of things about Turkey. I just keep holding it 'cause (1) I forgot to bring my camera cable, (2) I don't have my laptop with me, (3) it's hard to edit too much photos, (4) and I can't post all of my images through Instagram, link it to FB and copy each url from them. Arrggh.. I think I can do a longer list of reasons, but promise to do a separate post in every interesting thing I found and experienced here in Turkey. I failed to do that during my first visit here in 2011 but this time really, I promise to blog more. A friend in the US requests for a postcard. I thought it's a sweet idea to send one, so I was in a souvenir store the other night to buy. However, they don't sell it piece by piece here. It was three for 1TL or around 21Php. Actually, it's cheaper than Manila. Will go around tomorrow and look for the post office. In the meantime, I need to think of two more special people to send these Kusadasi postcards. Perhaps, I'll send it to Auntie Jo in the province and to another friend across the miles. Overlooking our room is an amazing view of Kusadasi. The coastline as well as the shops, restaurants and bars are either just a few steps away or across the street. The peninsula, the dock and the expensive yachts, the city traffic, and most of all, Pygale, the island where Agamemnon settled to heal his wounded soldiers and fix broken ships after the Trojan War, are overlooking from here. We finally hit the beach during lunch. I couldn't afford to strut my pregnant self in the sandy bay so it was just hubby and daughter who enjoyed swimming. *Sorry my mistake. I found out that the island is not actually Pygale. Pygale is located in Aydin but visible from where we stayed because they didn't excavate it yet. I should've posted this last week, but better late than never, right? So here we go..
As you know from my previous posts, we finally rested, no more jetlag, started shopping and now on a roadtrip. The little one is happy to be reunited with her aunt (which she rather call tita), cousin and grandparents. She would ask about home from time to time then remembers that we are on a vacation. Anyhoo, here in my in-laws' house, we feel at home as much as hubby. I can't say that I love it here cos I believe there is nothing feels like your own 'home' but at least we feel good and taken cared of. On a normal day, the little one would just play with her younger cousin, sit on the comfortable bed of their grandparents and play tablet or jump together. The fact that they use a memory topper helps a lot. She is enjoying more than ever. I used MAC Ruby Woo for the first time the other day. I like it, but I think I have to use it over and over this week in order to come up with a good review of the said product which I am planning to post later. Anyway, this is just a quick FOTD post, featuring MAC and other pharmacy favorites. There ya have it. How do I look? Haha. I am so happy with my new pairs of leather shoes. I have a pair from Zara then another pair from INCI. The first pair is ballet shoes, while the second one is more like a wedge. I have another thing in mind though. It is this pink pumps with orange cap toes in the photo. 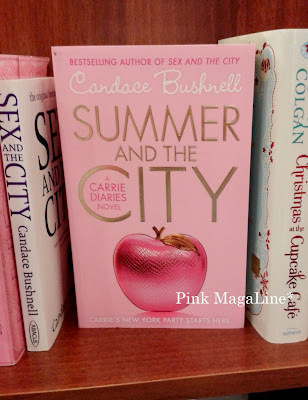 Hope to purchase it as soon as I go back from our side trip to Izmir and Balikesir then will post a separate blog later. On our 3rd day here in Istanbul, I saw awesome choices of leather shoes and summer sandals while shopping in Bakirkoy. Actually, there were too many footwear to choose from that words aren't enough to describe them. I drool just thinking of them. Ahh, why do I always think of buying shoes and bags other than clothes whenever out of the country? Already over a week here in Turkey. We are currently on a roadtrip and this is a scheduled post. Just trying to update my family and friends back in Manila. Our first shopping destination was Bakirkoy. It is the place to go if you wanna to do sightseeing and shopping at the same time. Et (beef) Doner on rice. This is my favorite Turkish meal here. Their rice is a little oily but still delicious! This is dondurma. 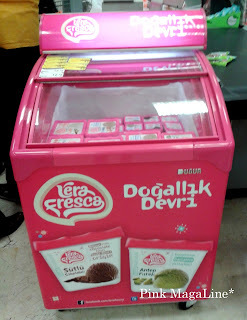 The Turkish version of gelato. Very nice. It is so thick and rich and doesn't melt right away. More like a gum in consistency and comes in various flavors. Green plums. Hubby introduced this thing to me while at Migros, buying some grocery. It is not sweet nor very sour. I say it more like unripe guavas. Lastly, we have here Istanbul traffic. It can be worse at times. Gah! One of the common questions of a first time mom is the safety of using nail polish or getting regular manicure and pedicure during pregnancy. When I got pregnant with my daughter, I also referred the same concern to my OB-GYN. I remember asking her questions about the use of nail polish, hair rebonding, going to gym, and so on. My baby pump and my strawberry nails..
Today I wish to share some things about nail polish and pregnancy 'cause I know there are still a lot of women out there who need some enlightenment regarding this matter. Alright, I am not a doctor or an expert but this is what I think and what I learned from googling and from asking my own OB-GYN. I, myself, is a big fan of colorful nail polish and nail painting. As you can see in this blog, I have a number of posts with nail polish as the subject. I love painting my nails esp. when they are long or even when they are shorter. It doesn't matter really. Painting depends on my mood. Going back to nail polish and pregnancy, as per my OB-GYN's advice, there is nothing wrong about using nail polish during pregnancy. Yes, there maybe harmful chemicals in a single bottle of nail polish but they amount is too small to affect the mother and her baby. Moreover, other pregnant women can be too sensitive with the odor of the nail polish so using them may cause dizziness to vomiting. Lucky me that I didn't have any similar problem so I am able to paint and repaint my nails at least once a week. Everyday is an adventure with my 4 year old daughter. Aside from her playing routines, she often has endless stories, then dancing and acting sessions from the moment she wakes up until the next bed time. A funny scenario randomly happens each week. Sometimes, they get very funny that I can't get over out until I shared to family and friends. Below are some samples.. While watching 'Mars Needs Mom'..
Me: Will you save me too if Martians take me? Daughter: There is no such thing as Martians, okay? Husband and I were in bed talking about the events of the day when daughter comes in.. Daughter: What are you doing here? Hubby: (Jokingly) We are making a baby. Daughter: Where is the machine? Hubby took the little one to the office one day. Gay supervisor with long curly hair enters the room.. Daughter: Are you girl or boy? Gay Supervisor: (Stunned) I think I'll just answer that question later. Everybody in the room: Hahaha! 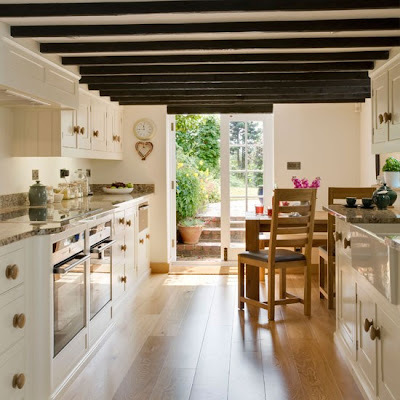 An eco-friendly country style kitchen is my kind of kitchen. I tell you, I fell in love with this kitchen right away the first time I saw it. It doesn't look exactly the same with my dream kitchen but very close. I love the white walls, the glass door, and the wooden dining set. Mind you, my kitchen won't be very big, more or less only 20 sqm. Imagine a medium deep kitchen sink facing a large window with potted herbs on the side, a wooden dining set for 6 with brown cushion, and big glass door leading to a backyard garden (like in the photo). Ahh.. very beautiful! I also want to have those kitchen cabinet organizers at ovisonline.com to help me maximize space. Think of drawer and cookware organizers, tray dividers, towel holders, waste containers, and pullout shelves. They will surely give enough leg room for everyone and will make my kitchen look more orderly. Hmmm.. I am yet to think of the kitchen appliance and other accessories. So much about my dream kitchen. I guess a separate blog post will come as soon as I come up with another idea. 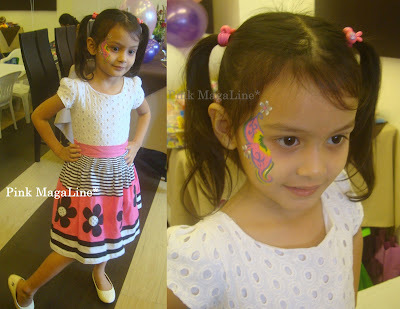 It was my first time to hear about Winx Club when daughter and I attended her bestfriend's birthday. The party was held at Alex III Restaurant at Wilson Street in San Juan on on a weekend. I didn't know the location well so I googled it. After I checking the map, I realized that it's very near. In fact, just 5 minutes drive from where we live so we were the earliest to come. The daughter wore her dress from SM Kids. She got her face painted with a pink wing. 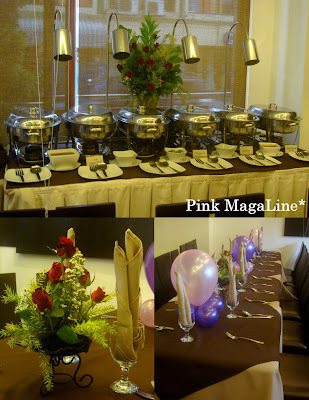 The lovely buffet setup, table arrangement and flower centerpiece.. 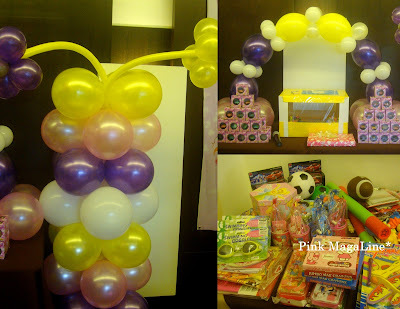 The balloon tower, cupcake, cake and gift corner, and game prizes..
My daughter and her bestfriend Andee..
And Adee's pink Winx Club birthday cake.